Read an interesting article found on Astronomy magazine's web site. 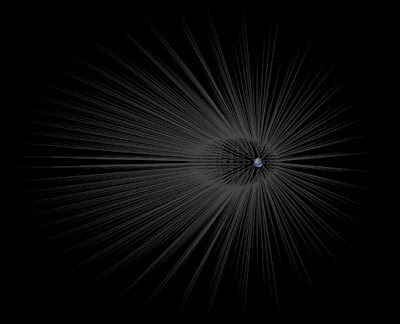 Recent astronomer simulations suggest that dark matter, as it passes through a planet or star, might form into fine, very dense filaments or hairs. Gary Prézeau of JPL describes these hairs having roots and tips with the roots starting relatively close to the surface of a planet. Looks like a spiky urchin. And here I thought dark matter was lumpy.